Joy is apparently the new trend in advertising buzzwords. It’s everywhere. This product will bring you joy. That product will make you happy on your search for joy. This campaign promises ease on the road to joy. That item is joy. Et cetera. Well, 93% of Americans want to find more ways to experience joy, and 83% would like to experience small amounts of joy daily vs. larger, occasional doses. What the psychologists discovered is that people want to find joy. However, joy as an end in itself is not the main goal. The venerable liquor company now “aims to promote the idea that finding joy is part of the recipe for success.” The psychologists found out that having money doesn’t necessarily make you happy. Possessing the largest house isn’t necessarily joy-inducing. Getting the promotion in your career won’t absolutely bring contentment. Those things are part of the recipe for success, and the recipe’s biggest ingredient is joy. If you have joy, the other things are just so much sweeter and your chances for success in life increase. Joy becomes a means to an end. His conclusion: finding cheer in wine is folly and vanity. 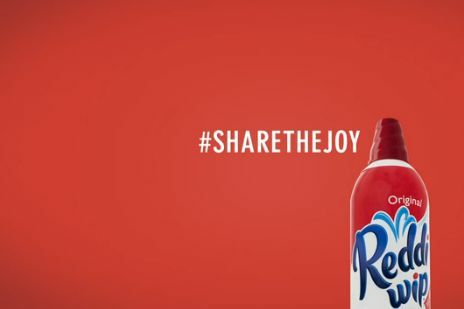 Reddi Whip Company immediately got on the Johnnie Walker bandwagon and their take on joy is that if you have joy, sharing it brings more joy. 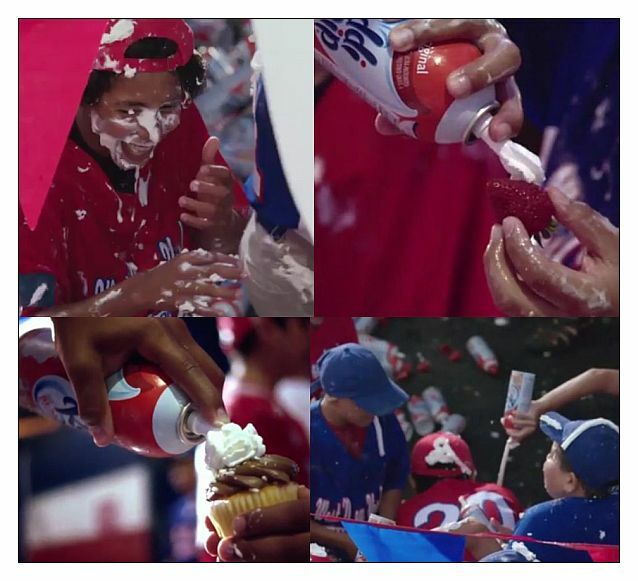 Their ad was to show a winning Little League team sharing their winning joy with the losing team by smearing them all, and some food, with the whipped product in a massive food fight on the field. I said at the opening that joy is the new trendy buzzword but as Solomon said, there is nothing new under the sun. Ten years ago, Cadbury Chocolates kicked off a content-led campaign including the titles of “Gorilla”, “Eyebrows” and “Trucks”. Did it work? Did creating joyful content incite people to buy the chocolates as a joy-experience rather than simply buy an item to eat? Yes, their payback was 171% higher. We know that Solomon said that all is vanity, striving after wind. We usually look at the word vanity but today let’s look after striving. The “God-shaped hole” concept states that every person has a void in his soul/spirit/life that can only be filled by God. The “God-shaped hole” is the innate longing of the human heart for something outside itself, something transcendent, something “other.” Ecclesiastes 3:11 refers to God’s placing of “eternity in man’s heart.” God made humanity for His eternal purpose, and only God can fulfill our desire for eternity. All religion is based on the innate desire to “connect” with God. This desire can only be fulfilled by God, and therefore can be likened to a “God-shaped hole.” The problem, though, is that humanity ignores this hole or attempts to fill it with things other than God. Joy is serious advertising business. In addition to Whisky, Reddi Whip, and Cadbury Chocolates, we have people expressing that “the last time they felt real joy was when they were a kid”, drinking Coke. A BMW is joy. Sherwin-Williams says the right color paint is joy. And so on. Hoy is important to people on earth. The restlessness in seeking it but never quite finding it is palpable and palpable. Whisky, chocolate, desserts, toppings, money, career, toil, friends, sensual pleasures, all are vanity, said the preacher in Ecclesiastes. There is a difference between possessing joy and experiencing its effects. One is permanent, the other is temporary. You feel joy in buying and driving your new car for the first time. In sharing the news you’ve been promoted. Winning the lottery and having more money. These things bring “an experience” of joy, but its effects wear off. When our joy rests on an experience, it dissipates. Joy isn’t lasting when it’s attached to things that pass away. When we strive after things that break down, (cars), that disappear, (money), that don’t last (food…careers) the joy experience is seen to be what it is, wind. There is nothing new under the sun – except Jesus. His mercies are new every morning. The only true joy there is exists in Christ. Though you have not seen him, you love him. Though you do not now see him, you believe in him and rejoice with joy that is inexpressible and filled with glory, obtaining the outcome of your faith, the salvation of your souls. (1 Peter 1:8-9). The verse is telling us that “The Christian’s joy is bound up with love to Jesus: its ground is faith; it is not therefore either self-seeking or self-sufficient” [Steiger]. The joy we possess is bound up in glory. It is an eternal, lasting, glory-joy that is inexpressible because its source is from God. The outcome of our faith is Jesus Himself. Knowing Him is joy.